Here are the spoilers for tomorrow's release, which will be the new issue of Callie's Picks. So many old (and not so old) freebies that now everyone will be the chance to have as they are not sellable. 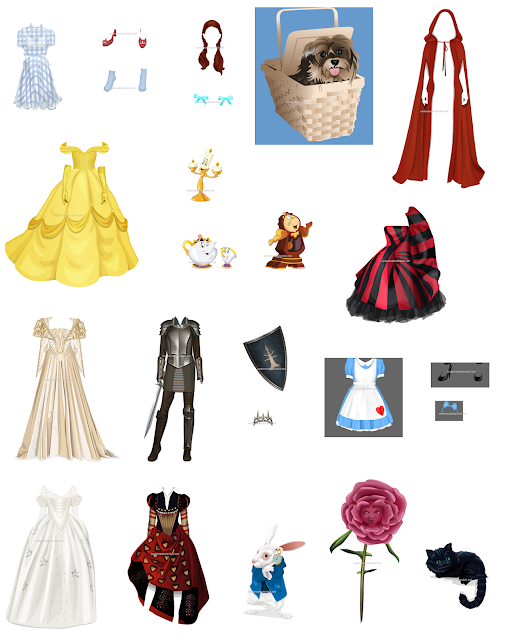 Of course there are also some items from Film Theory (Wizard of Oz) and the McQueen dress but the other ones can not be sold so I think it is a great idea to bring them back and available to everyone who wants to buy them! UPDATE:There are also these spoilers (special thanks to Aninha-1993 and JOE412). These items seems something "new", not a re-release. I am not recognizing them, but I may be wrong as we have a lot of black clothes and boots. Do you recognize them?